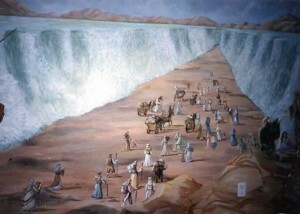 It is understandable that the account of the escape of the Jews from the pursuing Egyptians through the splitting of the Red Sea would aid in one’s decision to join the Jewish people. Why, however, would hearing about the war with Amalek convince Yitro that he should convert to Judaism? If the Talmud would identify the miraculous Jewish victory over Amalek that occurred at that time as the impetus, it would be understandable; however, the Talmud states clearly that it was the war itself, not the victory, which was the second catalyst. Rabbi Yechiel Mordechai Gordon (1882 – 1964; Lomza, Poland) explains that these are not two disparate catalysts, but rather a single reason based on the confluence of two different events. Yitro heard the incredible report of how God saved the Jews through amazing miracles at the Red Sea. He was extremely impressed and was in awe of God and His chosen nation. 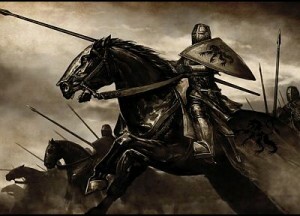 He then heard, however, about the vicious, unprovoked attack of the Amalekites. The entire world had just witnessed the strength of God’s wrath against those who persecute the Jews; yet, the Amalekites dared to attack them? Amalek’s war showed Yitro that no matter how moving an event or story may be, if one does not focus on integrating it into one’s life, it will not change one’s perspective. He therefore decided that while the story was still fresh in his mind, he had better convert and join the Jewish nation, hoping that he would thereby internalize the lessons of the miraculous exodus of the Jews. This concept holds true regardless of the emotions that the specific story evokes. It could be the horrible story of the burning of the Jordanian soldier this past week, or it could be a heartwarming video of a soldier returning to his family from a tour overseas, but we must make sure that we don’t merely read about it and move on. We must decide how we will inculcate the message and internalize the lesson. We must decide how we will act differently based on that article or blog post and how will make sure it will not be merely a transient, short-lived inspiration. 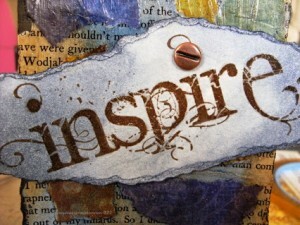 If one doesn’t attach the momentary inspiration to an action, its impact will quickly dissipate.